Recommendations: Each morning, take ½ to 1 scoop, or as recommended by a healthcare professional. For ½ scoop: Mix with 4-6 oz water, your favorite beverage, smoothie or yogurt. For 1 scoop: Mix with 8-12 oz. Best if consumed within 30 minutes of preparation. Do not exceed recommended use. This product contains the amino acid Phenylalanine. If you are pregnant, nursing, have a blood clotting disorder or are taking any medications, consult a healthcare professional before use. Other Flavors: This product is also available in Berry Flavor. Energy-Drainers: Our lives are filled with them — inadequate nutrition, occasional sleeplessness, and daily stress leave us feeling zapped of energy. 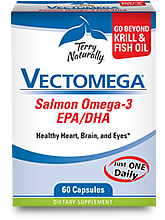 Delivers the benefits of over 50 vitamins, minerals and other nutrients for sustained energy. Replaces the equivalent of 25-35 tablets a day. Features malic acid to stimulate the complete burning of fuel for energy and support healthy connective tissue and muscle functioning. 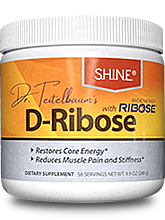 Includes increased levels of vitamin D3 for additional immune system and bone support. Contains amino acids essential to metabolism, immunity and overall health. Contains milk protein and soy. Quatrefolic® is a registered trademark of Gnosis S.p.A., Chromax® and the Chromax logo are registered trademarks of Nutrition 21, LLC. What is the source of the whey protein in Fatigued to Fantastic! Energy Revitalization System? Whey protein is obtained from cow's milk. The cows are raised in the United States, New Zealand, or Australia. Why is whey protein included in Fatigued to Fantastic! Energy Revitalization System? Is this product safe for people with dairy allergies? Whey proteins are high quality and nutritious dairy proteins. Milk contains two primary proteins: casein and whey protein. When cheese is produced the liquid whey separates from the 'curd' or casein. The whey proteins are then separated from the liquid whey and purified to various concentrations of whey protein. The whey protein concentrate provides a minimal amount of dairy products, namely, lactose and casein. It contains a maximum of 7% lactose and 15% casein. This calculates to a maximum of 0.6 grams of lactose and approximately 0.9 grams of casein per serving of the Energy Revitalization System. For comparison purposes, there are 10,000 to 16,000 mg of lactose in an 8-oz glass of milk. Due to the extremely small amount of lactose and casein in the Energy Revitalization System, dairy allergies should not be aggrevated in the majority of individuals. * However, those who are sensitive to even the smallest amount of dairy protein should not use this product. Doesn't whey protein cause constipation? Why are whey proteins in the Energy Revitalization System? Whey protein supports healthy muscle formation, tissue formation, and also supports healthy immune system functioning. * It is an important part of the Energy Revitalization System. How is the whey protein in the Energy Revitalization System processed? The whey protein in the Energy Revitalization System passes through a multiple step mechanical filtration process where the material is purified and then concentrated by the removal of water and lactose. The concentrated whey protein is then stabilized. What impact do B vitamins have on energy levels? What B vitamins are people most commonly lacking? A vitamin B deficiency is a common occurrence among the U.S. population and continues to increase as our lives become more stressed. In regard to riboflavin (B2) and methylcobalamin (B12) surveys in the United States reported riboflavin deficiency among the elderly to be between 10 percent and 27 percent. Research has shown that a B12 deficiency occurs in 3 to 40 percent of the general United States population. Can the Energy Revitalization System be used as a daily multivitamin?